Sy’s GURDJIEFF UNVEILED: an overview and introduction to the teaching originally published by Lighthouse Editions in 2005 is now available for a free download from the Theosophical Society of America’s website. Friday, January 28 through Friday, March 11, 2011. The Theosophical Society in America is experimenting with introducing online courses/study groups based on new technology. This technology creates a virtual classroom in which all participants’ visages appear on your computer screen simultaneously. I have been asked to facilitate an online Gurdjieff Study Group using this technology, and I am inviting you to participate in this program. I will be a co-host to facilitate this study group along with Ben Furman of the Theosophical Society staff. Jim Bosco, also of the staff, is administrating the program and its technical aspects. This does not require downloading any software. It is a matter of just logging on to a particular Adobe website set up as a classroom. At the outset this will be a seven week course explaining the fundamental concepts in Gurdjieff’s teaching. It will take place for one hour each Friday at 11:00 am EST to 12:00 noon beginning Friday, January 28 through Friday, March 11, 2011. (Adjust your time depending on your time zone.) There will also be a preliminary session on Friday, January 21 from 10:45 am to 12:00 noon EST for the purpose of ironing out any technical difficulties. During the seven weeks, I will be presenting the fundamentals of Gurdjieff’s teaching following the outline of the book, Gurdjieff Unveiled, and coloured by the teachings of Sri Madhava Ashish (nee Alexander Phipps 1920-1997) the man who told me to study Gurdjieff’s teaching when I first met him in 1978. 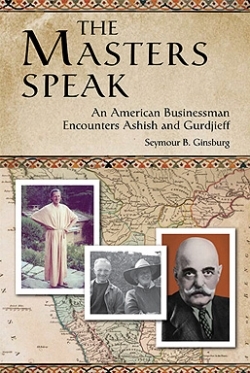 You need not buy the book, Gurdjieff Unveiled, although it can be ordered from the Quest Bookshop at the Society’s headquarters in Wheaton, Illinois. At the preliminary session on January 21, I will be presenting some information about Ashish as it connects with Gurdjieff. While the course largely involves my lecturing on the fundamental concepts, the technology permits participants to ask questions orally by “raising their hands” electronically or by texting a question, and I will try to address such questions. In this sense the course is interactive. At the end of each class session, a psychological exercise will be given based upon Gurdieff’s teaching of the necessity for self-observation of states of identification which prevent us from standing in our true being. Self-observation takes place within the state of self-remembering that is at the core of Gurdjieff’s teaching, and how to do this will be explained. It is expected that participants will work on this exercise during the week. At each following class session participants will have the opportunity to share the self-observations that they made during the preceding week, within the limits of available time. 1) You must have a computer that has both a camera and microphone within it. Most laptop computers produced in the past five years have this feature. If you don’t have that, you can purchase separate relatively inexpensive equipment that will attach to your computer. 2) Your commitment to participate in all seven class sessions. I would also like you to participate in the preliminary session on January 21. A) Those who for the most part do not have access to and/or do not participate in a Gurdjieff study group. Some of you who are familiar with Gurdjieff’s teaching will have already encountered the fundamental concepts, although I think that we all need to review these fundamental concepts from time to time. 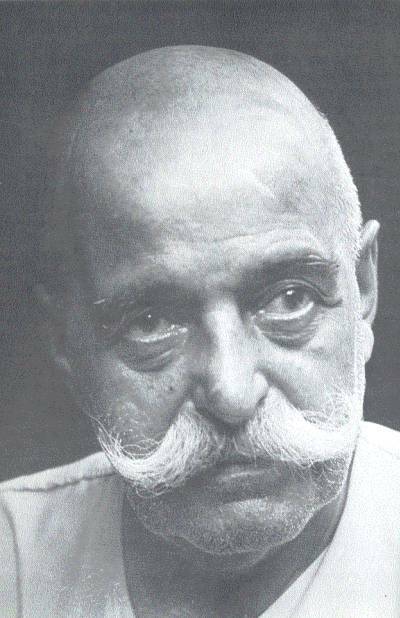 B) Those who are unfamiliar with Gurdjieff’s teaching but who may be interested.. If so, you will begin to hear new ideas and then I wish you not to miss them. If you already participate in a Gurdjieff Study Group you would have no need to participate in this online study group. and I will send you the necessary log-on information. If you have a friend whom you think would be interested, please pass this on. While in theory this technology system can accommodate a large number of participants, as a practical matter we would probably need to limit participation to about 20-25 participants at the outset. If there is sufficient interest after this seven week course, we will then attempt to arrange an ongoing series of weekly online meetings beginning in April which will constitute an ongoing Online Gurdjieff Study Group. As some of you know, the Gurdjieff teaching is “hands on”. It is not just a series of lectures, but requires ongoing self-observation within self-remembering by participants, and also requires lengthy periods of meditation in silence to stop turning thoughts. This is called Work on oneself in the Gurdjieff tradition. I would be much interested in this course if it were offered again. Please let me know if it isoffered. when we have any news of one I will post it on the site. “creates an environment fairly close to a typical group meeting.” how can you say that? the real presence of others is a force in itself. there is no substitute for a real group meeting. Sy Ginsburg is co-facilitator of the Online Gurdjieff Study Group presented under the auspices of the Theosophical Society in America.